The Kia Sorento has long been a popular vehicle with drivers from Jenkintown, Rydal, and Glenside, and it’s easy to see why. It’s a versatile and reliable option that’s a lot of fun to drive. So, the question becomes: is this the right car for you? 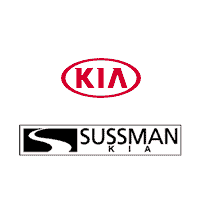 Our team at Sussman Kia has created this helpful page chock-full of information about every aspect of the Kia Sorento. You’ll find interesting and informative articles covering all the things you need to know to decide if this popular vehicle is the right fit for you and your family. Contact us today to schedule a test drive! The Kia Sorento comes with a powerful and zippy engine that’s a lot of fun to drive. The 2.4L engine comes with 185 horsepower and 178 lb-ft of torque. Later trims come with 3.3L V6 engine that’s got an even more powerful punch—it gives you 290 horsepower and 252 lb-ft of torque. Whichever trim level you choose, the Kia Sorento comes standard with Front Wheel Drive, so you’ll always feel in control and secure even when tackling tough terrain or rainy weather conditions. 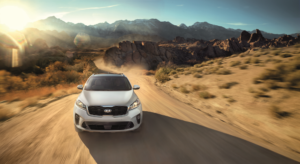 The 2019 Kia Sorento has plenty of interior features that will leave you driving in the lap of luxury. It comes with cloth seats that have been treated with YES Essentials® Fabric Treatment, which helps keep them in top conditions no matter how often you’re traveling in the Kia Sorento L, LX, and LX V6 trims. The material is treated with repel-and-release technology, which helps keep your seats safe and protected from stains and spills, making it a great choice for families with young children (or just messy eaters). The 40/20/40 split-folding second-\8/row seats helps make carrying big cargo, like bikes or skis, a total breeze! Still need more space? You can fold down both sections of the second row for even more room for all your cargo. The Kia Sorento comes with tons of entertainment and connectivity options the whole family will enjoy. 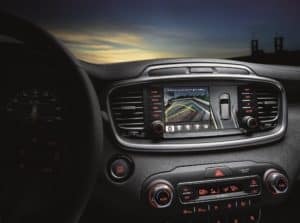 It comes standard with UVO play with 7-inch touch screen display, which lets you control all your entertainment and connectivity options with just the push of a button. The system provides you with Android Auto™ and Apple CarPlay™ integration. This allows you to seamlessly sync your compatible smartphone with your car, so you can play your favorite music and podcasts no matter where your journey takes you. The 6-speaker system provides you with clear and sharp sound, so whatever you choose to listen to always sounds its very best. It will seem like the people behind your favorite podcast are in the car with you! We hope you find our Kia Sorento articles to be interesting and helpful during your quest to find the right car for you. Take the time to read up on all the great features this vehicle has to offer, and then head on over to Sussman Kia today! We’ll answer your questions, and even help you to schedule a test drive. Whether you’re from Jenkintown, Rydal, or Glenside, we’re sure to be able to help you find the car you’ve been looking for. Find our Kia dealer near you to get started!